A well-known jewelry chain with multiple locations in the Twin Cities metro area has built a very prominent and profitable online presence, with the top revenue generator being paid search marketing. The company spends the majority of its paid search budget on Google AdWords to utilize a variety of ad types including standard text ads, shopping, dynamic search, and remarketing. Also, the company recently completed a rebranding and re-skinning of its website. The jewelry chain started to see a decline in its paid search performance after a new competitor entered the AdWords arena. While clicks and costs were stable, conversion rates and return on ad spend (ROAS) were decreasing, and cost-per-acquisition (CPA) was increasing. The company wanted to get its paid search efforts back on track, and achieve a CPA at or below $50 and ROAS around 200%. 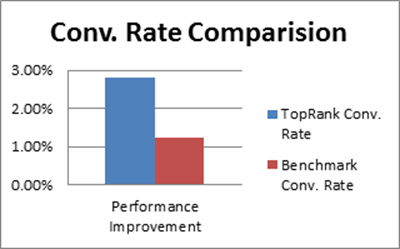 TopRank Marketing recommended a full analysis of the retailer’s AdWords account, as well as an in-depth look at the competition. During our analysis we found many opportunities to capitalize on messaging differentiators, low competition keywords, and campaign structure. But, the most exciting opportunity we found would have immediate effect on performance: the use of broad match modifier keywords. We discovered there was very little use of broad match modifier keywords. We immediately transitioned all brand modified broad match keywords to broad match modifier (BMM) in an effort to reduce generic search query volume. Along with the BMM transition, we paused all unnecessary keywords that would be covered under better performing terms. We also created a separate campaign for higher volume keyword groups based on historic performance and related search queries. TopRank Marketing was able to exceed all of the jewelry company’s goals. 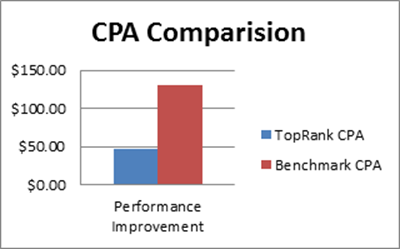 The match type changes resulted in a 64% decrease in CPA, bringing costs down from $129 to $46. 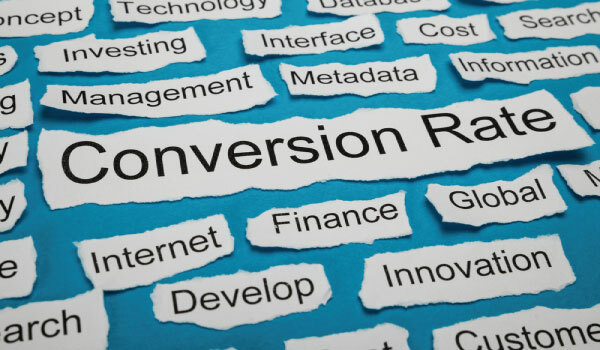 In addition, ROAS increased from 86% to 205%, and conversion rates increased 129%. We’re also seeing marked improvements in sales volume and revenue. PPC marketers no longer need massive keywords sets to achieve effective reach in AdWords. However, utilizing match types properly is essential to a successful campaign. 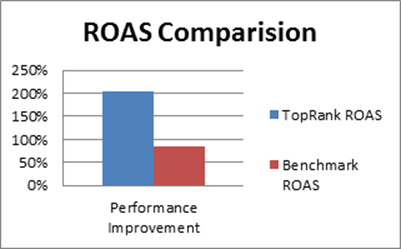 If you’ve seen a change in your paid search performance or you’re struggling to hit your goals, TopRank would love to take a look at your account. Contact us today to learn more.